This is now the time when 49th annual World Series of Poker held in Las Vegas is underway. The 78 total events of this famous card game tournament surely are an extraordinary opportunity for the fans and players. Professionals and amateurs alike, want nothing more than do well and perhaps take home one of the golden bracelets, but is so hard that even the best will fall. Unsurprisingly, the newcomers might feel a little overwhelmed. Not even most detailed guide can replace real experience; however, few thoughts might be worth remembering. Out of the games you usually play at casinos that can bring significant payout, poker is definitely the one that needs the hardest work to have a real chance of scoring big. At the events, money prizes largely depend on the number of participants and the buy-in fee. The more people involved and bigger the stakes, the harder it gets to end up on paying places. That’s why players usually come to these things very well prepared. The planning starts at the early stages, before the games even begin, for example with choosing what to actually play. Naturally, this includes focusing on the poker variant that suits us the most, so obviously, we wouldn’t sign up for something we do not fully understand or simply don’t feel too good about. 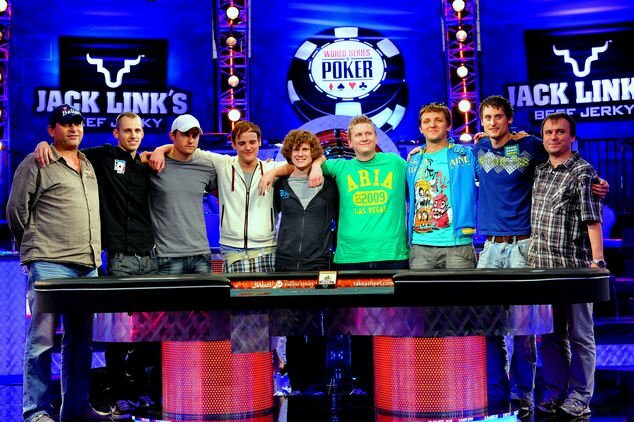 At big live tournaments, there are more factors to consider regarding stakes and structure. Looking at the WSOP events calendar we’ll see a lot of options, and beginners may be tempted to aim at the minimizing risks as much as possible, in order to have a bigger chance for winning. This isn’t always the case. Smaller buy-ins are potentially lighter losses but generally mean higher rakes, so players may end up paying more. Similar goes with slower structures which attract unexperienced clientele who think they will have more time to come on top. In reality, it won’t be that easy to beat professionals throughout the course of the large number of hands. Another thing to take a closer look at surely is the difference between limited or fixed games versus no-limit. For simplicity’s sake, it can be said that the most popular no-limit version makes you fear for your stack at any given hand but also can be used to deter threats by skillful players who know exactly when to go all-in. On the other hand, while the slower pace in limited games might feel more comfortable for newbies, it can get difficult to extract some serious money from the rivals. The question of participating in the crowning of the series is also an important issue. Although there have already been some early developments in terms of earning first gold bracelets for winning events at this year’s WSOP, the road for the Main Event is long and possibly ‘winding’. As per usual, it is the most anticipated part of any big tournament, and it will be even harder to beat the opposition at the tables. In fact, it will almost definitely be a psychically and mentally demanding marathon where every detail might become crucially important – not only skills, discipline, and determination but even medical conditions and overall health predispositions. Therefore, focusing on the interesting side events might be a good idea that still can bring you some money, fame and precious experience.